Baku Court of Appeal, chaired by Judge Aflatun Gasimov, continued the proceedings on blogger Mehman Huseynov’s appeal. At the hearing, Mehman’s lawyers stressed the importance of viewing the security camera recordings from 9 January from the area, where Mehman Huseynov had been detained, and from Nasimi District Police Department. The lawyers also filed a motion asking the court to ensure that the filer of the private lawsuit, Nasimi District Police Department’s Chief Musa Musayev attend the proceedings. After a deliberation, judge Aflatun Gasimov denied the motions and set the next hearing for 1 December. Mehman Huseynov was arrested after his public statements on his subjection to torture in police custody in January of this year. 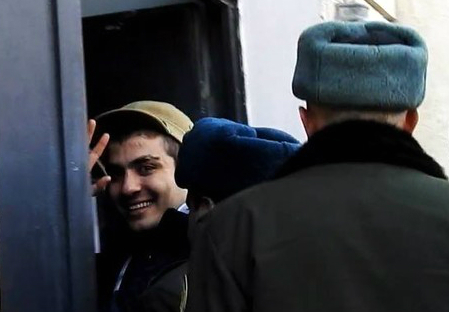 On 3 March 2017, Surakhani District Court convicted Mehman Huseynov of slander (Article 147 of the Criminal Code) and sentenced him to 2 years in prison.